Spotted these pieces in Santa Maria’s main town, Cape Verde. 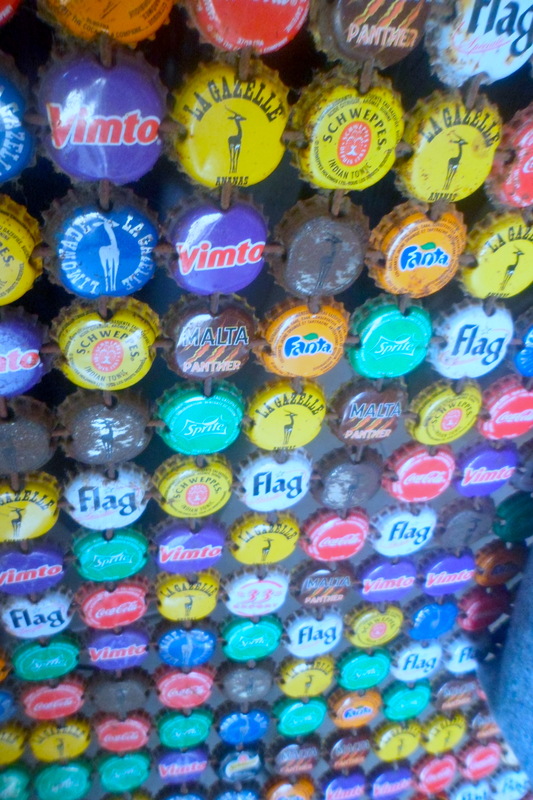 The bottle top chair is genius, recycling at it’s most colourful! This was hard to ignore as I walked down the street, not sure if this was recycling or hunting! !